This is only a “Shallow” clone. Let me demonstrate what I mean. 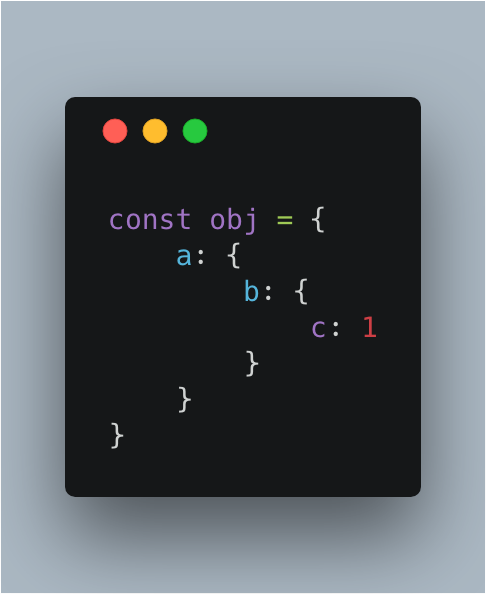 Now, lets console.log the new value of c on shallowObject, and the value of c on our original object, obj. 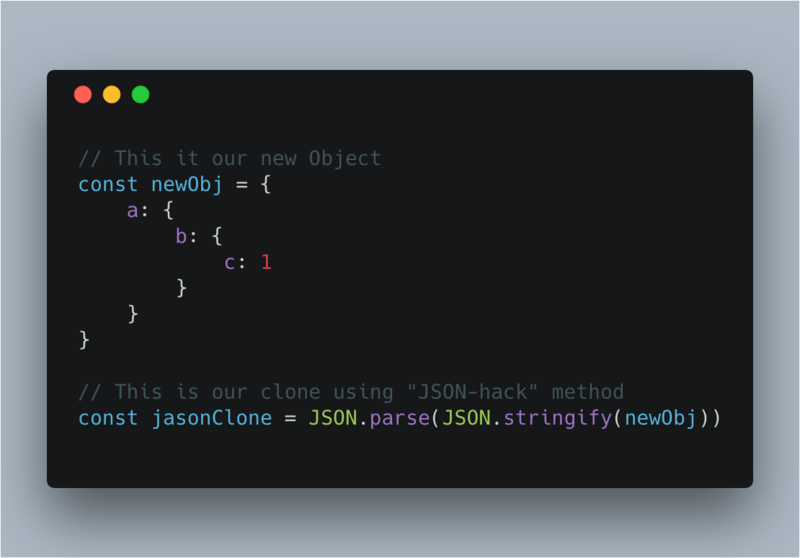 Changing the value of c on shallowObject, also modified the value of c on our original object! This is what is meant by a shallow copy. Rather than making a complete clone, this "shallow" clone merely provides reference to values beyond one level deep - it is *NOT* a true clone. So by now you are probably wondering, "Chris, what are some possible alternatives to Object.assign()? The syntax is absolutely phenomenal, but sometimes I need a deeper clone than simply one level deep." In this post, I will be demonstrating how using JSON.stringify solves our problem. Two other options are outlined in this excellent Stack Overflow post. Now we can check impact using console.log. Drumroll please.. In this wrap up, I wanted to touch on my most common use case of Object.assign(). One of the core tenets of Redux is to never mutate state, you'll often find yourself using Object.assign() to create copies of objects with new or updated values. Especially as you are writing your reducer functions. While this is an effective approach, note that utilizing the new object spread syntax to copy enumerable properties from one object to another is more succinct and will result in more readable code, but still requires a babel plugin (babel-plugin-transform-object-rest-spread) as of the writing of this blog post (interestingly, this plugin is a polyfill for Object.assign()). Chris Bradshaw is a Full Stack Web Developer from New York City. He has worked on media/entertainment sites reaching over 22 million unique users per month.